A tasty luncheon dish of crayfish and lobster, courtesy of "Elsie de Wolfe's Recipes for Successful Dining". The most wonderful thing about reading old cookery books is the social-history aspect. One learns so much about other times: how people lived, how they dined, how they entertained. And very often one comes across a name that is half-forgotten now, at least in some circles, especially so in books peppered with recipes submitted by the author’s friends. Elsie de Wolfe’s Recipes for Successful Dining, published in 1934, is rich with names, from titled European aristocrats to obscure American socialites, names that will send you straight to Google to learn more. Such as Henry Davis Sleeper. The Golden Step Room at Beauport, in Gloucester Massachusetts, the summer home of Henry Davis Sleeper. 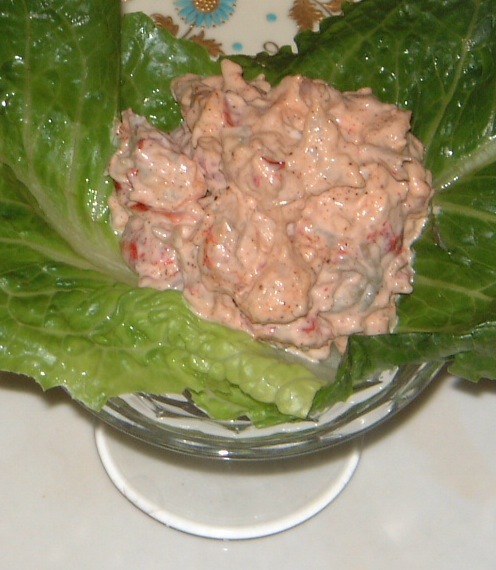 Not long ago my husband and I decided to delve once again into de Wolfe’s famous compendium, and we chose to try Crayfish Gloucester, a recipe given her by Sleeper, who lived in Gloucester, Massachusetts. 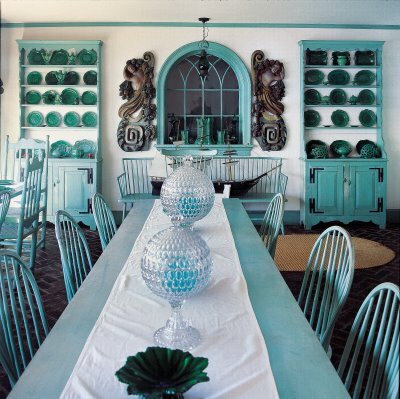 The name of this influential bachelor aesthete is little know today outside of design-groupie circles but Sleeper (1878—1934) was an antiquarian extraordinaire and an adventuresome decorator to boot, a man whose passion for historic design and architecture informed Beauport, the eccentric and inspiring 56-room house he built on Boston’s North Shore in increasingly elaborate stages between 1907 and 1929. 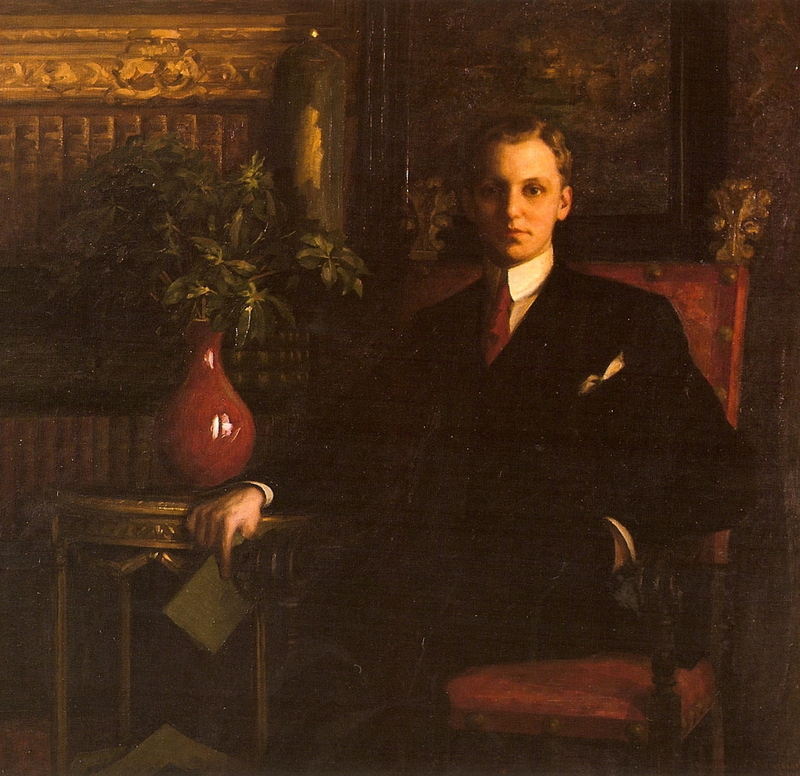 After serving as director of the Paris office of American Field Service during World War One, the energetic Sleeper returned to the United States and became an integral part of the burgeoning historic-preservation movement, advising on landmark sites as well as decorating for clients passionate about America’s past, including museum founder Henry Francis du Pont, millionaire F. Frazier Jelke, and chemicals magnate R. T. Vanderbilt. Sleeper’s incredible story has not been told at book length, however, and further complicating matters is the discreet veil that has been drawn over his personal life. Only last fall, for example, has his homosexuality become part of the public-tour narrative at Beauport. Luckily Philip A. Hayden, an architectural historian and independent scholar, has been labouring away on the first-ever Sleeper biography, a book whose publication I await with bated breath. Until then, click here to read more about Sleeper, his life, and his extraordinary residence. An oil portrait of Henry Davis Sleeper. In addition to creating inventive rooms out of recycled materials saved from historic houses slated for demolition, Sleeper was a terrific host, and Crayfish Gloucester was a dish he served frequently at Beauport, where the guest list included Elsie de Wolfe, artist Cecilia Beaux, inventor John Hays Hammond, King Gustav of Sweden, and the redoubtable art collector Isabella Stewart Gardner. It’s easy to see why that particular recipe was popular in Sleeper’s household—it’s creamy, spicy, and refreshingly cool. Unfortunately the recipe is frustratingly vague when it comes to proportions, so you’ll just have to do a bit of guesswork like we did to determine the per-person proportions. The effort will be worth it. FYI: You can also use frozen or otherwise prepared lobster meat to make the preparation easier. Cook crayfish in boiling salted water for 5 minutes. Cook small lobsters in a court bouillon for 12 to 15 minutes or a large one for 25 minutes. When cold cut the lobster meat into pieces and mix with the meat of the crayfish and a mayonnaise dressing to which have been added a teaspoonful of chili sauce and a dash of paprika. Serve in crystal cups garnishing with a circle of lettuce leaves. Decorate the top with the red portions of the crayfish. Serve very cold.